Society Bakery was founded 2003 in Dallas, Texas by native Texan, Roshi Muns. 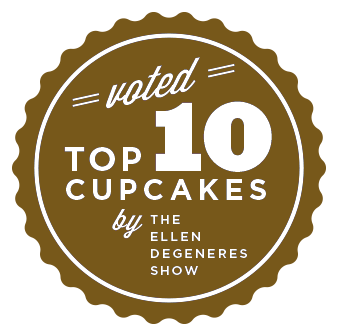 Society Bakery was propelled into national recognition when Ellen DeGeneres and AOL named them one of the Top Ten Cupcakes in America. Since then, PEOPLE Country Magazine listed Society Bakery as one of “Four top bakeries in L.A., Dallas, Birmingham, and N.Y.C.”. Shecky’s listed Society Bakery as one of “10 Bakeries You Need to Try Across the U.S.”. The Daily Meal listed Society Bakery in the “Top 50 Cupcakes in America”. Society Bakery has been seen on Food Network, Cooking Channel, and in Bon Appetit Magazine. Society Bakery has had the honor of making sweets for numerous celebrities such as Mark Cuban, Diddy, “Ace of Cakes” Duff Goldman, Grouplove, Billy Joel, Jerry Jones, Neon Trees, New Kids on the Block, Nolan Ryan, William Shatner, Steven Tyler, Trisha Yearwood, and Vance Joy. Tune in Monday nights 10 pm Central to Food Network’s new show, Dallas Cakes, and watch Society Bakery! In keeping with the bakery slogan of “Be Good to Your Sweet Tooth, Be Good to Society”, Roshi founded the bakery in 2003 with the intention of mixing three great passions: baking, creativity, and the desire to lead a meaningful life. Roshi named “Society” Bakery because she believes a business can be profitable and charitable at the same time. This has shaped how she has led the bakery to be involved in the local community by giving thousands of cupcakes away in exchange for items that local charities need over the years. Society Bakery strives every day to make beautiful creations and make customers happy. We are not “high society”; we give back to society. Society Bakery donates throughout the year to over 100 different charities, schools and non-profit organizations. We do not take a tax write off for these donations because Society Bakery believes that a business can be profitable and charitable at the same time. By purchasing delicious goods in Society Bakery’s warm, welcoming atmosphere, you are contributing to a philanthropic model that improves our surrounding neighborhood and society at large.